The Macy’s Black Friday 2016 Ad is out and the popular department store is going all out for Black Friday 2016! With over 48 pages of Black Friday Deals and doorbusters, you can be assured that you’ll find everything you need for the holiday shopping season at Macy’s. 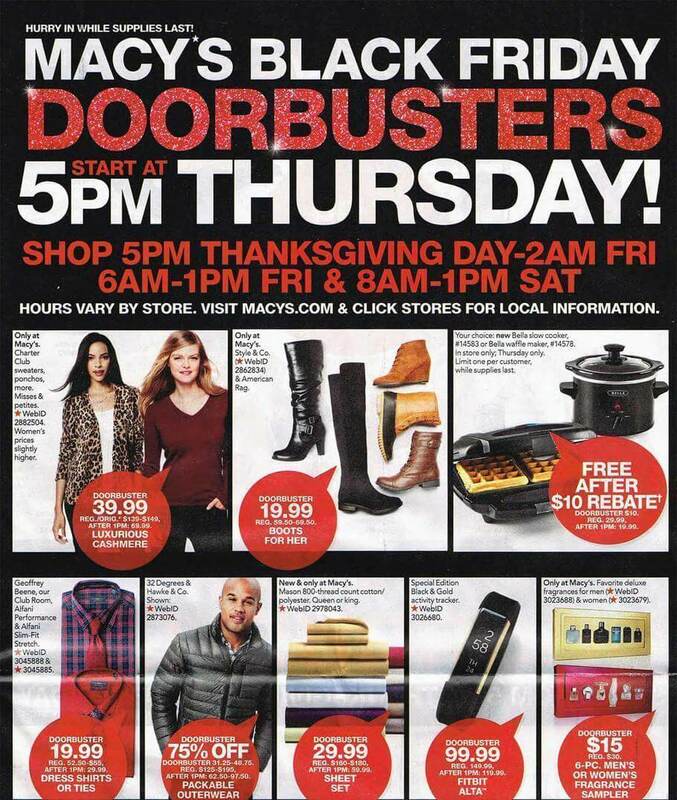 The Macy’s sale begins on Thanksgiving Day November 24th at 5pm, and runs through November 26th. Their stores will be opening at 6 am on Black Friday or you can shop for Black Friday Deals online at Macy’s .